Gmail is a very popular email service for millions of users around the world, and their built in spam filter is generally pretty good but it doens't always get things right, so often you'll need to go through your Gmail spam filter and rescue incorrectly categorized email. But, not many people bother to check their spam folder. 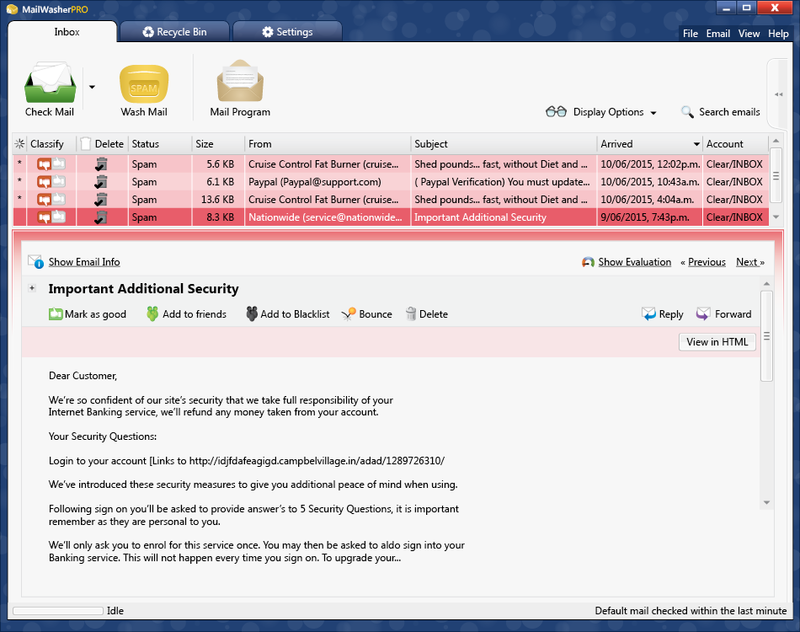 MailWasher is a great companion to Gmail as many people have found out, not only does Mailwasher allow you to preview all your Gmail email first, it won't make the mistake of automatically adding your good email to a spam folder. Adding your Gmail email account to MailWasher is really easy - either it will import your email settings from your email program like Outlook or Thunderbird, or it will automatically setup itself in MailWasher when you add your email address and password. Then MailWasher will list all your emails in your Gmail account, and you can read them all in MailWasher, mark any with a delete mark that you don't want, then press the 'Wash Mail' button to remove the unwanted emails so only the remaining good emails are left. MailWasher lets you add unlimited numbers of Gmail accounts, and also other email providers as well so you can view all your emails in one place.